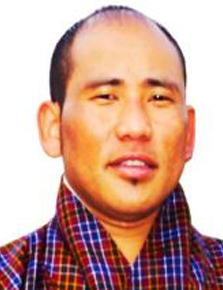 Uttar Kumar Rai is the new Thrompon-elect of Phuentshogling Thromde. He secured 248 ‘Yes’ votes and 239 ‘No’ votes. Of the 776 registered voters, 487 cast their votes. Uttar Kumar Rai had said his priority is to solve the housing crunch the city faces. The former business, who contested from Nyedra Constituency, also said he would be looking into establishing basic infrastructure. Uttar Kumar Rai holds a Bachelor of Science- Information Technology, from Sikkim Manipal University and Bachelor of Commerce from North Bengal University. He is a father of one.